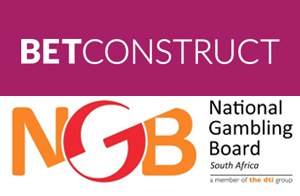 BetConstruct, a gambling industry games supplier, has made further inroads in the African gambling market after the group managed to secure a license from the South Africa National Gambling Board. BetConstruct was granted the Manufacturer License which means that it will be allowed, through the license, to service sports betting solutions for regulated South African operators. BetConstruct continues to focus on growing gambling markets around the world, and counts South Africa as one of these markets. According to BetConstruct, operators can now offer up to 30,000 live matches per month for over 140 sports via the company’s market-leading solution. BetConstruct has an active presence in the global gambling market and carries a regulated market strategy. BetConstruct has a Class II software provider’s license from the Romanian National Gambling Office, a software operating license and a remote operate license by the UK Gambling Commission, and is licensed for Class 2 and Class 4 licenses from the Malta Gambling Authority. • iGaming Software Supplier at the International Gaming Awards this year. • Best Customer Service at the EGR B2B Awards in 2016. • Technology Provider/Supplier at the International Gaming Awards 2016. • Best Customer Service at the EGR B2B Awards 2015. • Innovator of the Year at the International Gaming Awards 2015. It is legal to place bets at land based venues and at online betting sites in South Africa, as long as the sites hold a full gambling license. The National Gambling Board is the government department that licenses these sites. Betting on sports in sports-mad South Africa is a hugely popular pastime and millions are wagered each week.